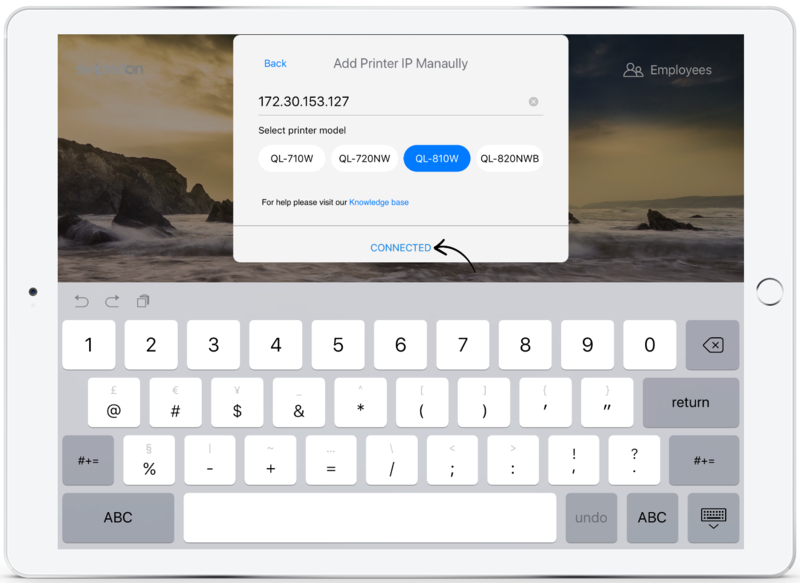 If the printer requires being manually connected, then the below steps will need to be followed. To find the printers IP address, press down and hold the 'Cut' button on your printer. This will print four to five labels and the printer IP will appear on the third or fourth label dependent on the model that is being used. 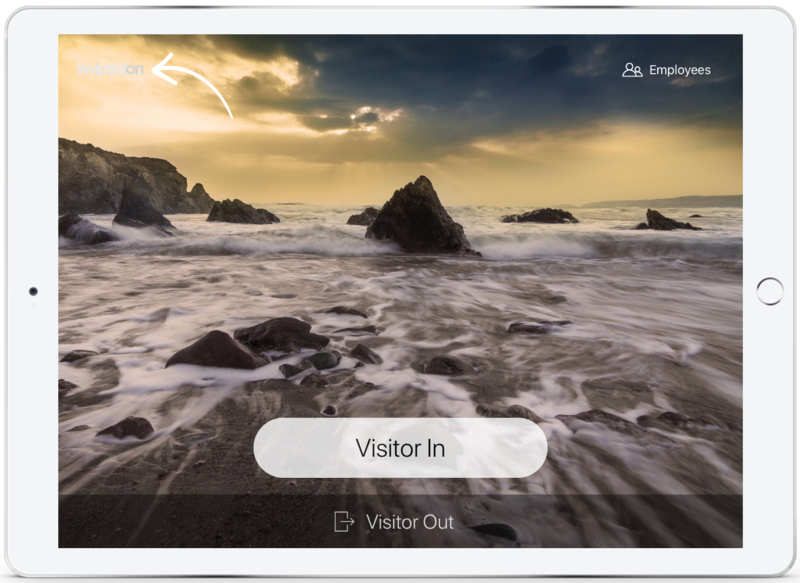 Open the hidden menu by tapping 3 times on the SwipedOn logo in the top left of the iPad screen. Tap 'Add Printer IP Manually'. 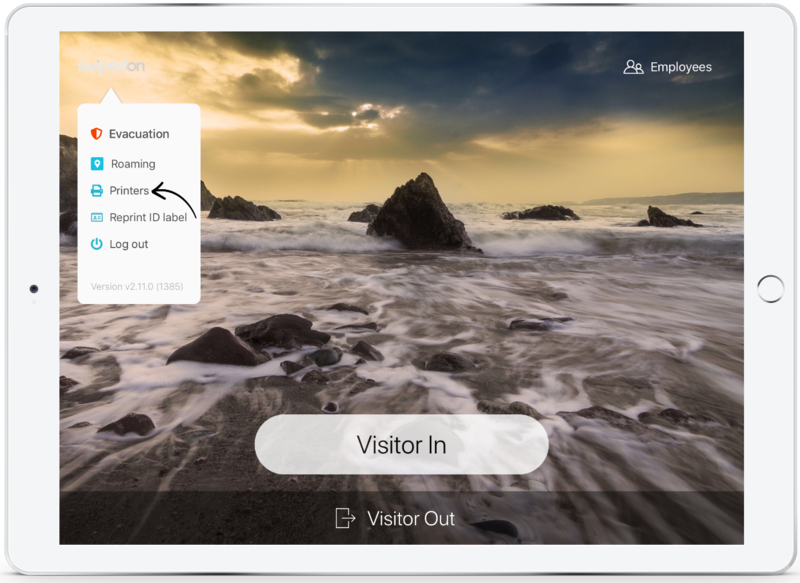 Type in the IP address and tap 'Connect'. The printer will now be 'Connected'. 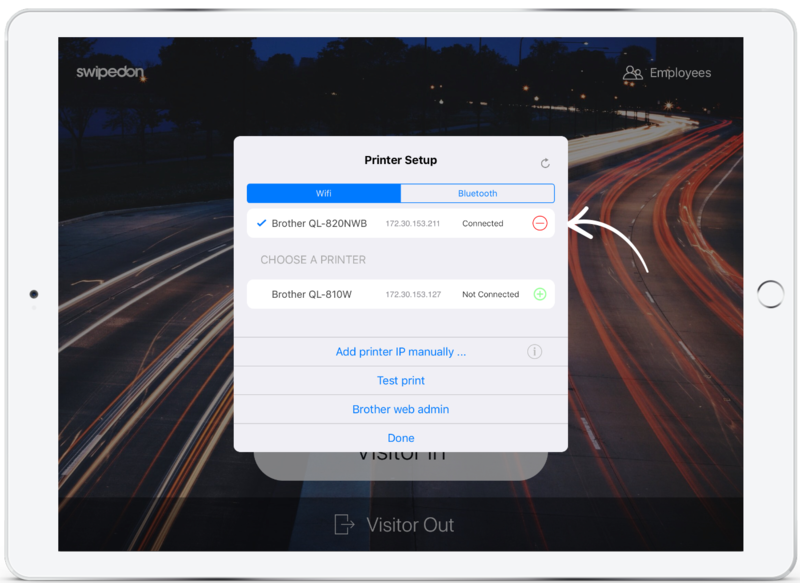 Tap 'Test Print' and once a label is successfully printed, tap 'Done' to close the printer setup screen. *Please note, if after trying the above step and then printer is not connecting, please get in touch with us at support@swipedon.com or using our live chat function located in the bottom right corner of the screen.